US News and World Report has posted a 20-slideshow package they declare the best college photos of 2013. Well how about that. According to the caption, they edited through nearly 12,000 images down to what USNWR blessed as the best? Not so fast Buster! Admittedly some good shots are peppered into the selection but only 2 conclusions can be drawn from this: The 900 institutions submitting did not take much time selecting appropriate images or USNWR needs to have a talk with their photo editing staff. 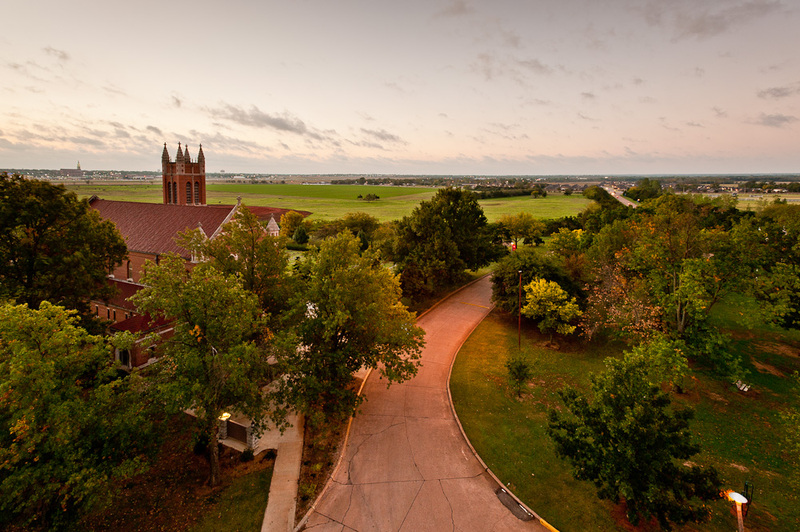 The image above is my humble submission, taken last fall at St. Gregory’s University, Shawanee OK. Yes I admit, it has no lightning bolts or Northern Lights, just a beautiful Oklahoma sunrise at a small and special college on the edge of the plains. A very mediocre set of images used in a crummy slide show format – the only purpose here is to drive page views so that the magazine’s sales staff can tout misleading data in their pitches. USN&WP failed this assignment.